I made this haiga when my haiga reached 1000 several years ago. Since then, I have kept production, but not counting anymore. Probably around 1300 by now. The haiga I am showing on this blog include old ones as well as the new ones. 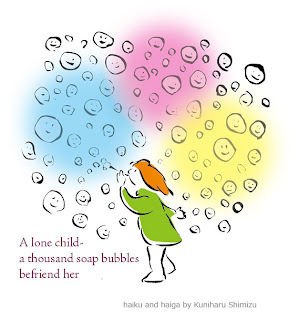 It was more than 14 years ago when I started making haiga. 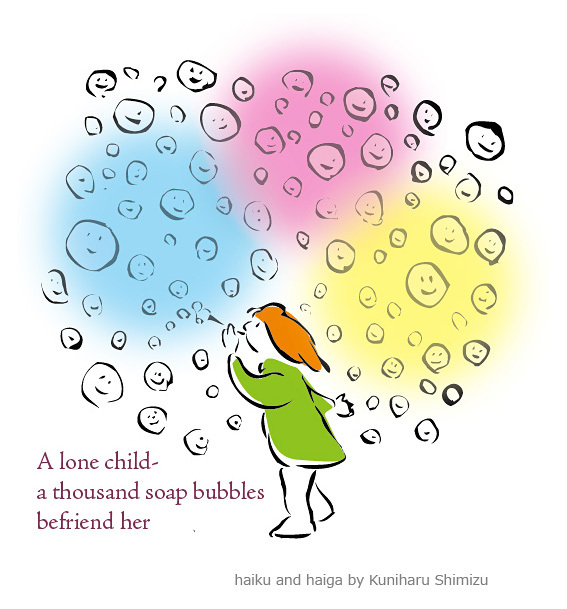 By now, haiga making has become like a habit, and I think it is a good one. My haiga exhibition starts from tomorrow, and I go to Osaka to do preparation this afternoon. All haiga are in A1 size and in a scroll format so I just roll them up and carry them to the site by train. The flyer of the exhibition is this, but only in Japanese. On coming Saturday, we will hold a little session where I talk about my haiga and English haiku, and my singer friend will do some singing. Maybe a little kukai, too. eithis made me smile...it reminds me of my childhood.